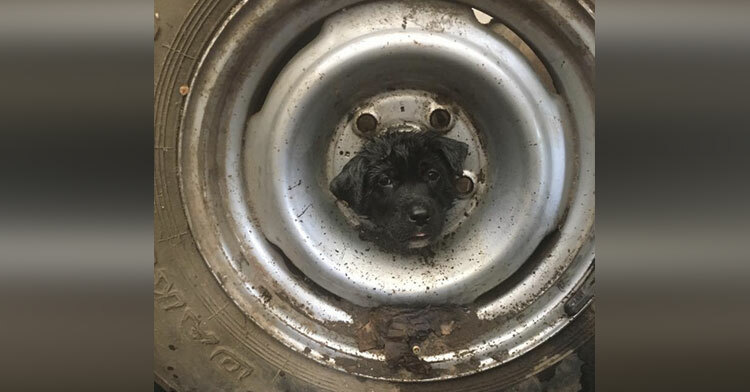 Momma Dog Thanks Rescuers In Sweetest Way After Puppy Gets Stuck In Wheel. Pets are notorious for getting themselves stuck in some pretty hairy situations. 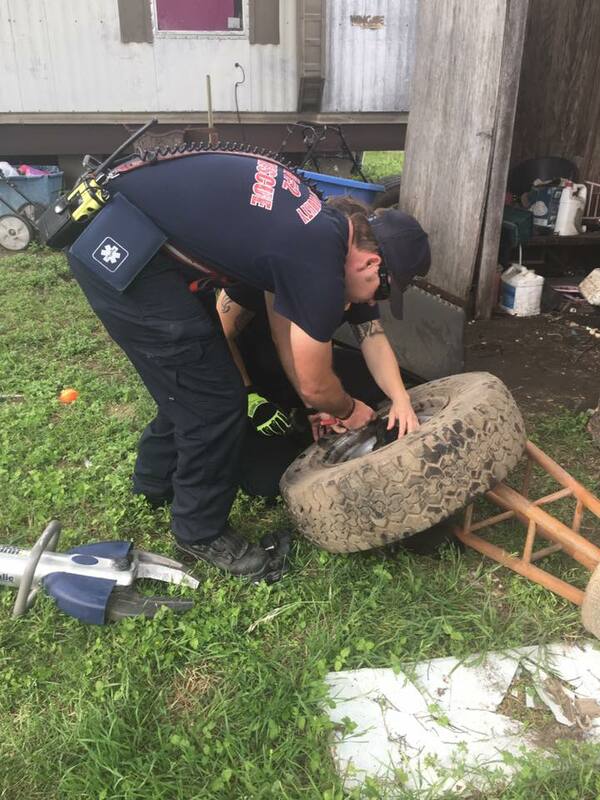 They keep their rescuers on their toes with desperate cries for help from treetops, inside drain pipes, or in this case, inside a wheel. 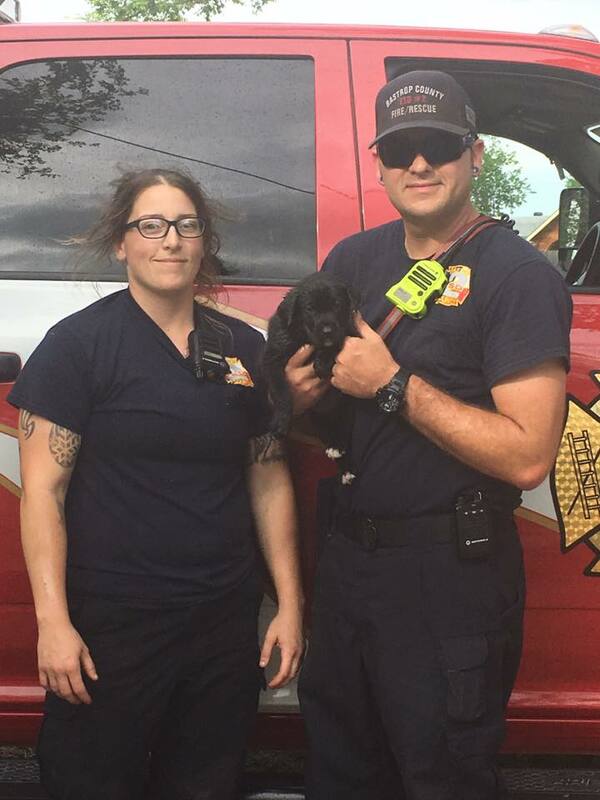 Fortunately, the little black puppy who found himself in just such a situation had an entire cadre of people who came to his aid at a home in southeast Texas. 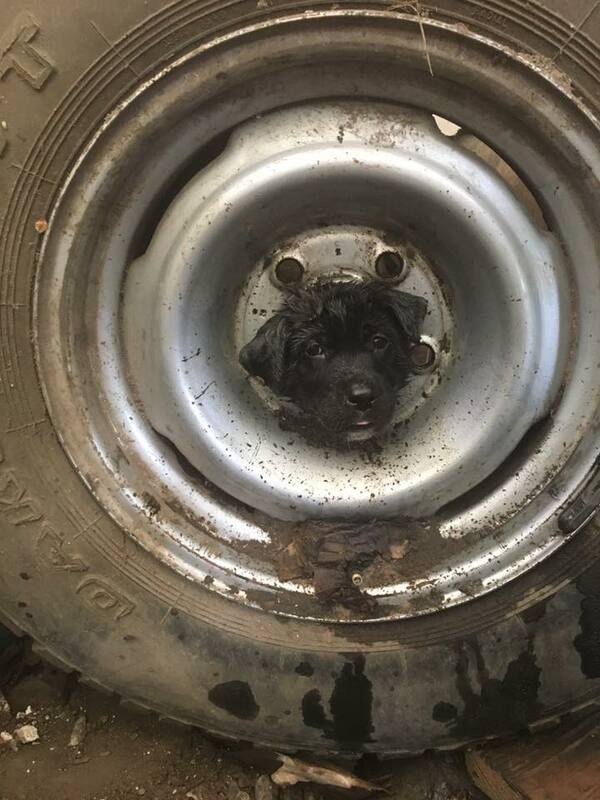 Somehow, the 10-week-old puppy had managed to get his head stuck in the middle of an old tire while exploring a shed. The owner found him and immediately called a local rescue group, Wags for Hope and Healing, for help. That’s how Bastrop County Animal Control and Shelter got involved. First, the crew hauled the tire outside and tried to use cooking oil to wiggle the little guy out. And when that didn’t work, they were finally forced to call the local fire department for a major assist. Using the “Jaws of Life” seemed like a pretty good bet, but that only scared this terrified and whimpering puppy even more! Finally, a firefighter named Violet came up with the solution, and it called for all hands on deck: One person tilted the puppy forward, she grabbed his body, and the third person grabbed his head. “And she started to twist the puppy as I twisted the head and started to twist it out, and we got that dog out,” one of the firefighters explained. As you can imagine, the poor pup’s mom was almost out of her mind with worry throughout the rescue. 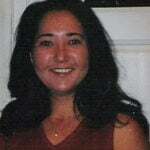 But once they got him out, she skipped the admonishments, instead covering his face in concerned and loving kisses. So, all’s well that ends well. Let’s hope this served as a lesson for this pup and his six siblings, who will soon be available for adoption through both the shelter and Wags for Hope. Share to spread thanks for the heroes who rescued this frisky pup!